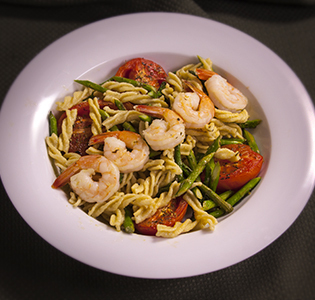 Roasted tomatoes, asparagus and shrimp make a delicious topping for our Zone PastaRx. Set oven rack in lower third of oven. Preheat to 375°F. In a roasting pan, spray tomatoes and garlic (with skin/paper on) with Pam and sprinkle with salt and pepper. Roast until the tomatoes are wrinkled and beginning to brown, about 20 minutes. 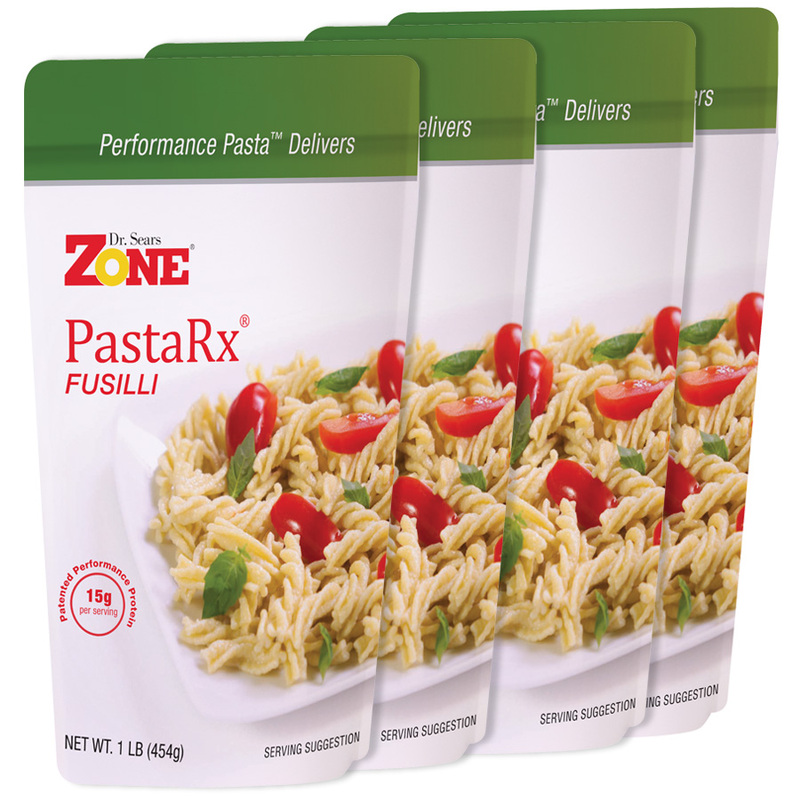 Prepare Zone pasta according to package directions. Drain the pasta. Reserve 1/2 cup of liquid,set aside. Return the pasta to the pot. Meanwhile, scatter the asparagus and shrimp over the tomatoes and give another spray of Pam and roast until the shrimp are curled and firm and the asparagus is tender, about 10 minutes longer. Remove garlic from the pan, cover the roasting pan to keep contents warm. Let garlic cool for at least 5 minutes. Peel the garlic cloves and squeeze the soft pulp into a bowl. Mash to a paste with the flat side of a knife. Stir the extra virgin olive oil, garlic, lemon juice, oregano, thyme, salt and pepper, into garlic bowl and mix well. Stir into pasta. Stir in some reserved water until you acheive desired moisture to evenly coat the pasta.